Janet Dorman (October 2016). Posted in 21stCenturyCulture, 21stCenturyMinistry, 21stCenturyMission. Startling to hear and see, the parrots seemed so out of place in this environment, aliens from a faraway jungle, where, indeed, they originated. Their ancestors were brought to the city as exotic captives. But the birds did not take well to captivity. Some escaped, others were released by frustrated owners. Today, the parrots are a huge attraction for visitors, but not everyone is so enamored of these avian residents. Some see them as just another invasive species that threatens the native ecosystem—by eating the food and taking the nests of other birds—and should be eradicated. The story of the parrots was documented by Mark Bittner, who first saw them while taking care of a house on Telegraph Hill. His observations eventually led to a book, a documentary film, and a website about the flock. Bittner defends the birds, saying, “There are people who believe that because the parrots are non-native, they are bad. End of discussion. I don’t agree.” He insists that there is plenty of food in the city and that, contrary to claims made by some, the birds do not steal the nests of native birds. Indeed, they seem to be interested only in other parrots. According to the National Invasive Species Act, an “invasive” species is one that is not only non-native (alien) to the ecosystem in which it is found, but also likely to cause economic or environmental harm. Human actions are the primary means of invasive species introduction, and it is important to note that not all non-native species bring harm. For example, all manner of honey bees came to America with colonists, enriching the native stock in many ways. Dandelions have likewise added to biodiversity without crowding out native plants. And non-native grasses provide nesting habitat for native birds all along the California coast. The role of non-native species in sustaining a healthy ecosystem seems not to be so easy to pin down. During the time I lived in San Francisco, protests erupted against new restrictive immigration laws. Advocates for undocumented workers, who were primarily Latina/o, called for a work stoppage. They believed that such an action would demonstrate the California’s economic dependence upon the immigrant workers (legal and otherwise) who picked crops, changed diapers, tended lawns and gardens, and cleaned houses and hotel rooms, doing work shunned by citizens. Still the anti-immigrant rhetoric continued, sounding a lot like the fears about the birds: immigrants supposedly threatened the culture and the resources of the native citizenry. In reality, the only similarity between immigrants and non-native species is that many are here because of human actions. 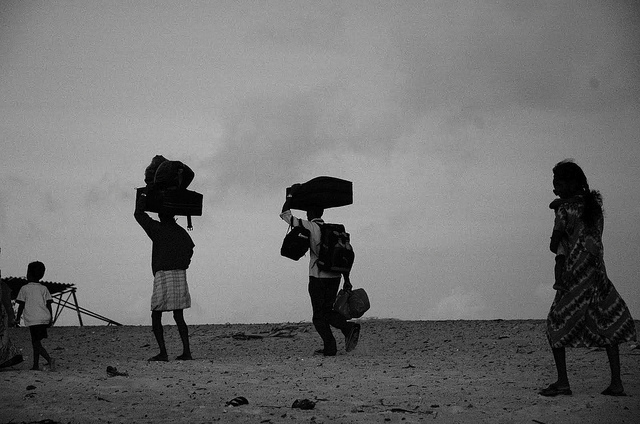 War, corruption, and income inequality have led millions of people to flee for their lives, often facing incredible danger, in order to seek a home and new life among us. Unfortunately, the conditions that riled California are with us still. There are nettlesome issues to sort out for much of the electorate. But for Christians, the call to care for the stranger overrides concerns about restricting or protecting what we think of as “our own” native resources. It draws from a biblical mandate to extend hospitality to all—including the sojourner, the alien, and the foreigner. For Christians, the call to care for the stranger overrides concerns about restricting or protecting what we think of as “our own” native resources. Existence for our biblical ancestors could be harsh and unforgiving. It was impossible to anticipate when one might encounter trouble and require hospitality. Thus, in ancient nomadic cultures, tradition mandated the extension of hospitality to anyone who needed it. The act of offering hospitality to strangers was not seen as mere “entertaining,” but as providing respite, refuge, and succor. Indeed, hospitality was a way of life because it made life possible. The contemporary conflict around immigration and the plight of refugees has been framed by those with power and privilege as one of competing interests: it’s supposedly about their needs versus our resources. And so we tend to ask, “What can we afford to give them?” Unfortunately, the desire to preserve our own comfort can blind us not only to the needs of others, but also to needs we may have. The better question is, “What can we give each other in order to live fully and securely?” The frame now becomes one of mutuality rather than competition, something more akin to the biblical rationale for hospitality. Meanwhile, the parrots of Telegraph Hill continue to fly about in the city, making a racket, unaware of those who complain of their presence. And, conservationists report, their relative safety in the City by the Bay is helping to preserve a species of parrot that is endangered in its Mexican homeland. Sadly, the people we label as refugees, immigrants, and undocumented workers, must remain painfully aware of those who wish them gone. They must struggle with the knowledge that many citizens refuse to see the value they bring to our local communities and our country. When we refer to them as categories to be managed, rather than as people with stories to tell and gifts to share, we deny their humanity. As the presidential campaign careens into its (blessedly) final days, the anti-immigrant rhetoric has ramped up on both the national scene and at the local level where I now live in Maine. Wild accusations have been made that immigrants—legal and otherwise—are spreading disease, committing crimes, using up resources, and plotting terrorist attacks. It would be nice to dismiss these charges as campaign excesses fueled by an especially divisive presidential election. It would be nice to believe that these sentiments will disappear once the last ballot is cast. I fear, though, that this anti-immigrant sentiment is not situational. After all, anger and retaliation toward “the other,” “the alien,” and “the foreigner” have played roles in the American story since our beginnings as a country. And all too often the Church has been complicit, seeking power in the secular world by supporting that world’s perspectives. Danny Cortez alluded to this danger in a recent Bearings post that explored Evangelical support for Donald Trump. Might the Church, which struggles for a sense of identity in the modern world, help us reclaim our otherness and … cultivate the “unknown between us” as the ground of discovery? Twenty-seven years ago, William Willmon and Stanley Hauerwas discouraged Christians from trying to reform the secular world to the ethics of the gospel. Instead, they challenged us to reform ourselves to the ethics of the gospel. Doing so, they warned, would make us “aliens” in the culture where we reside. Might the Church, which struggles for a sense of identity in the modern world, help us reclaim our otherness and, to borrow a phrase from the poet John O’Donohue, cultivate the “unknown between us” as the ground of discovery? In the end, it’s worth remembering that the Church began as a colony planted in the hostile environment of empire. It was like an invasive, but redemptive, species, offering a new way to live by loving and welcoming all. And it flourished—like a migrating flock of so many bright, singing birds nesting in the trees of distant lands—against all odds. Janet Dorman graduated from Boston University School of Theology and is an ordained minister in the United Church of Christ. For the past twenty-six years she has served churches in the Boston area and the Bay area in San Francisco. She also has been a chaplain in an AIDS ministry. 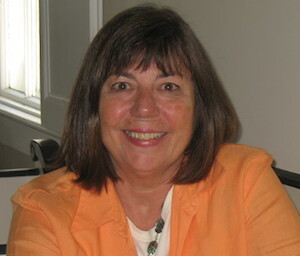 Janet is currently the Pastor and Teacher at the Foreside Community Church in Falmouth, Maine, where she lives. As an avid observer of the natural world, she is interested in the intersection of faith and science. She occasionally writes for the Portland Press Herald’s Religion and Values page from the perspective of progressive Christianity. Cover – Wayne Taylor, “wild parrots of telegraph hill,” December 23, 2010. Via Flickr. Licensed under Creative Commons CC BY-NC-ND 2.0. Inside – Climatalk.in, “Refugees,” September 21, 2005. Via Flickr. Licensed under Creative Commons CC BY-NC 2.0.